Crown Princess Victoria presents ALMA to Isol. Photo: Stefan Tell. 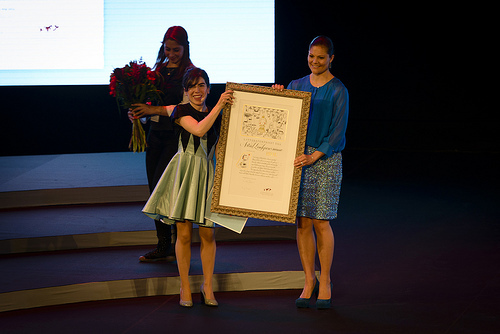 Two hours ago Isol was presented with the 2013 Astrid Lindgren Memorial Award by H.R.H. Crown Princess Victoria of Sweden. 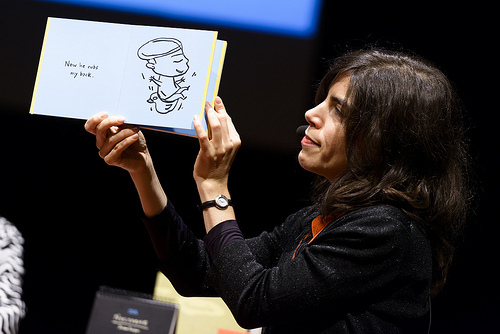 The award ceremony paid tribute to the multitalented picture book artist from Argentina, who ended up her acceptance speech by performing an unaccompanied tango by Kurt Weill (keep an eye on our web for video clips tomorrow). In her acceptance speech Isol emphasized the importance of illustrations. – I’m glad this award gives relevance to those who think of illustration as a rich, profound language, one with a voice of its own. In picture books we can tell many things through colours, lines and shapes, and that -in turn- allows the text to breathe with freedom. – I don’t actually think that I must put a limit to my imagination just because it’s a book for children, on the contrary! What reader could be more demanding than a child? Children have a lot of things to discover and I’d better be on their high level in order to satisfy their huge capacity for curiosity. Lena Adelsohn Liljeroth, Sweden’s Minister for Culture, acclaimed not only Isol’s qualitative artistry but also her respect for the child. – With high artistic quality, humour and honesty Isol finds unconventional ways to reflect the realities of life and childhood through new and playful perspectives. – Her stories show a heartfelt respect for children’s experiences and sentiments. She doesn´t shy away from also seeing the more saddening and difficult moment of life through a child’s eyes. The award ceremony began with a piece of music performed by children and young students from El Sistema and members of the Royal Stockholm Philharmonic Orchestra, conducted by Rebecka Törnkvist. The hostess for the evening was actress Annika Hallin. 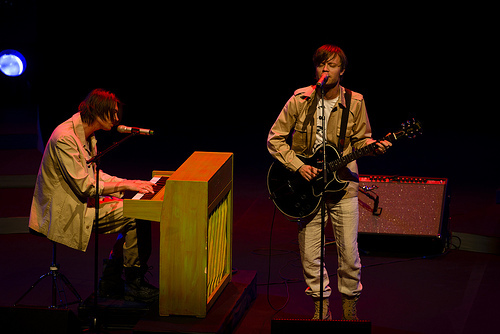 Also on stage were members of Mando Diao, a rock band, who performed three songs from their latest album, which consists of settings of poems by Gustaf Fröding. Isol gav two of her books to Crown Princess Victoria. Photo: Stefan Tell. Mando Diao. Photo: Stefan Tell. Tonight the world’s largest award for children’s and young adult literature will be presented to Isol! 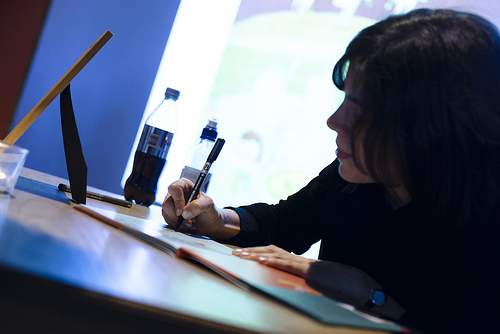 The 2013 Astrid Lindgren Memorial Award will be presented by H.R.H. Crown Princess Victoria and the Swedish Minister for Culture, Lena Adelsohn Liljeroth. Today, the award office has published interviews with both Isol and jury chairman Larry Lempert. – Isol got the prize for her quality, for her humanism and for her respect for the child, says Larry Lempert. In a broader sense, I would say that she is a surprising illustrator, an illustrator who surprises in every book she has done. She goes from one step to another, always with a new touch, a new approach. 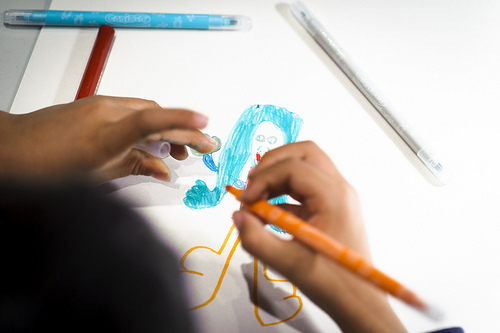 The Astrid Lindgren Memorial Award rewards illustrators, storytellers, authors and reading promoters who work in the humanistic spirit of Astrid Lindgren. – Isol has always focused on the child, she always shows respect to the child, says Larry Lempert. She always defends the child. And I think these are the most important things that we can see in a children’s book. She always talks with the child rather than to the child. – I like to test different fields and I like new adventures, but the core is always the same. I feel like a girl who is playing with her thoughts and her skills, and is trying to develop new games and to show something interesting for other people. The award ceremony starts at 6:00 pm CET. 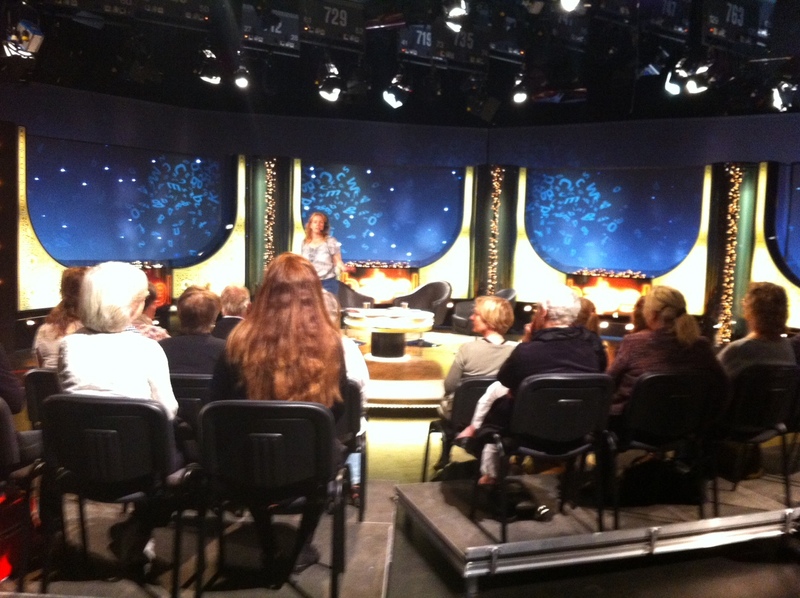 On Sunday May 26, Isol participates in literature program Babel on Swedish National Television, SVT2. Among the other guests are Sami Said, Oskar Hallbert and Carl Johan Malmberg. The programme starts at 8:00 pm. Furthermore, Isol’s public conversation with jury member Ulla Rhedin at Kulturhuset (House of Culture) will be broadcast on Monday 27 at 6:00 pm at Swedish Educational Broadcasting Company’s UR Samtiden. 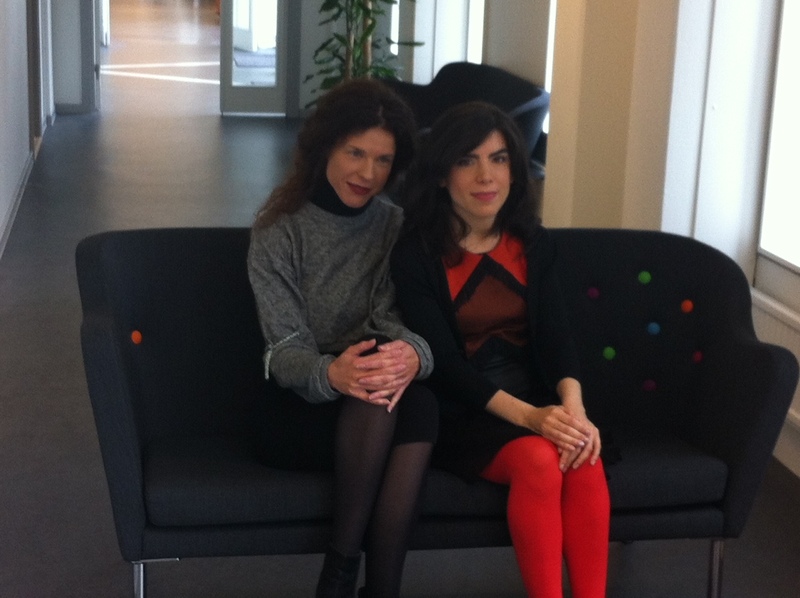 Jessika Gedin, Babel’s host, and Isol. 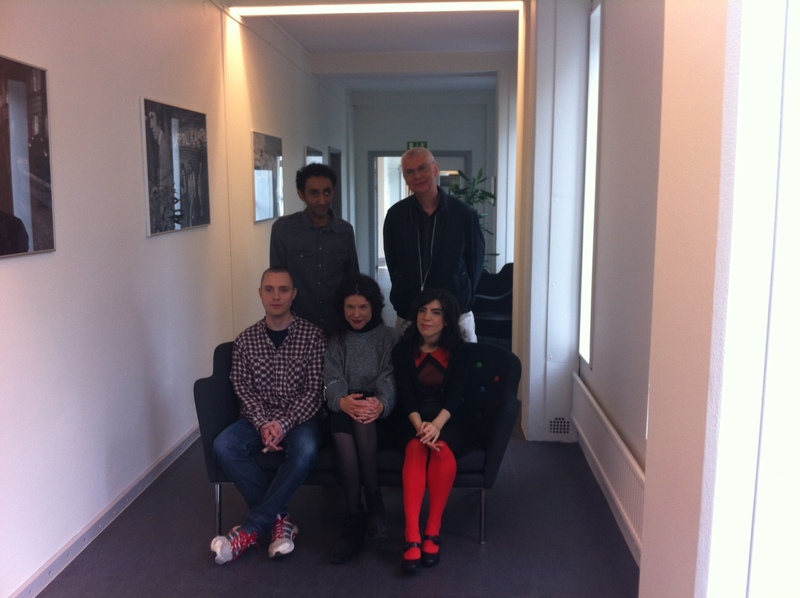 Sami Said, Carl Johan Malmberg, Oskar Hallbert, Jessika Gedin and Isol. “Do you know what Emil i Lönneberga did once?” Astrid suddenly asked that question of her three year-old grandson who was screaming his head off. Karl Johan stopped his racket. He was eager to know what Emil had done. Emil was born! 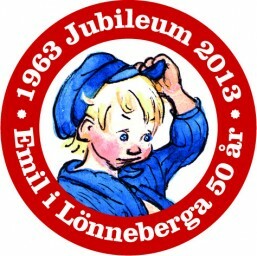 Today it´s 50 years since Astrid Lindgren wrote the first lines about the little rascal Emil in Lönneberga. This year, he´s celebrated big time. For example, outdoor museum Skansen in Stockholm is having a huge birthday party on Saturday, Astrid Lindgren’s Näs in Vimmerby (birthplace of Astrid Lindgren) will open an Emil exhibition on June 15, and amusement park Astrid Lindgren’s World opens a completely new Emil in Lönneberga area (their biggest investment ever). (On Christmas day a new animated film, Emil and Ida in Lönneberga, will be on the movie screens. Emil is the character that Astrid felt the greatest affinity with, as Astrid Lindgren’s daughter puts it in an interview. The wellknown Emil figure is illustrated by Björn Berg (Bildmakarna Berg) The real model for Emil is in fact Björn’s four-year-old son, Torbjörn. The first book was published in 1963 by Rabén and Sjögren. 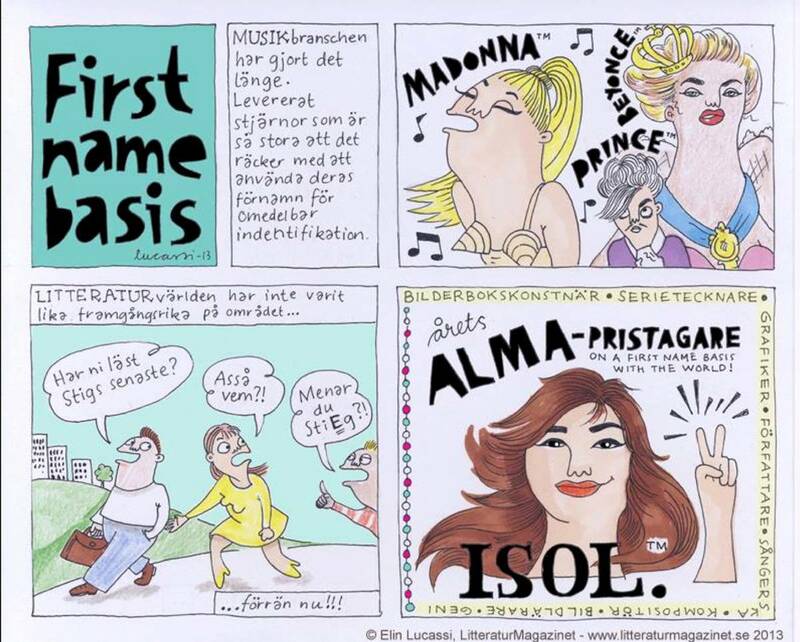 By Elin Lucassi, illustrator and cartoonist, for LitteraturMagazinet. The MUSIC industry has done it for a long time. Delivered stars so great that it is enough to use their first names for immediate identification. – Have you guys read Stig’s latest…? 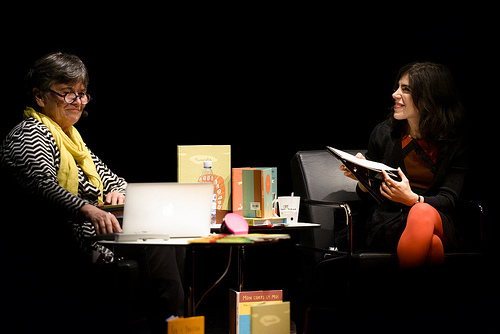 Yesterday’s award lecture at Kulturhuset (House of Culture) was carried out as a conversation between Isol and picturebook specialist and jury member Ulla Rhedin. 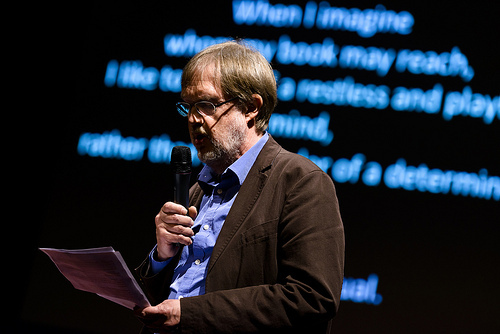 Lennart Eng, artist, graphic designer and jury member held a welcome address and introduced Isol and Ulla. Isol started by reading her book It’s useful to have a duck : It’s useful to have a boy which made the audience smile, and started a conversation about this “double-narrated” story with different perspectives. Ulla Rhedin led the audience through Isol’s works and discussed her creative techniques, which conveys many possibilities, as well as her way of producing stories that the reader can interpret the way he or she likes. Isol gave an insight into her working process by showing sketches from her work with Doggy slippers, and pointing out how the process was carried out up until the final version of the book was finished. It´s really amazing to obain an insight in how complicated it can be to create a picture which appear to be quite simple at first sight. She also talked about her upcoming book, about babies, which she is working on for the moment. Isol’s main characters are almost always children, she likes to tell stories from their perspective since they have a “new” view of the world. “They could be aliens” as she puts it. The conversation will be broadcast on Swedish Educational Broadcasting Company (Kunskapskanalen) on Monday May 27 at 6:00 pm. The auditorium at the House of Culture (Kulturhuset) in Stockholm is not recognizable. It´s filled with large tables with paper, paints, pens and paper. And many artists. 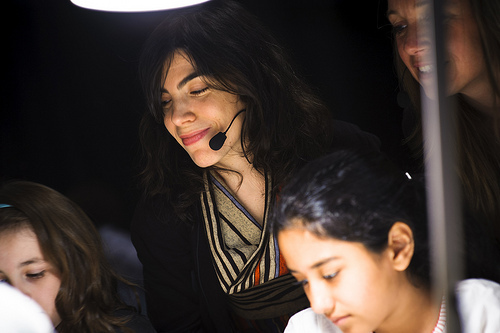 It´s children from the Spanish School in Stockholm participating in Isol’s award week workshop. Isol talks passionately and uses a big screen to show images. The children are listening. And ask questions, both in Spanish and Swedish. 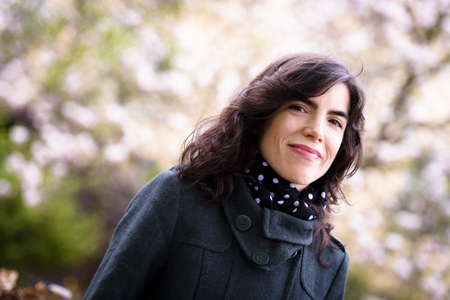 Isol talks about her book Secreto de familia, where a child discovers that even her friends and classmates try to conceal what their mothers get up to at home when no-one is watching. Isol asks if the children can draw a family member as an animal. 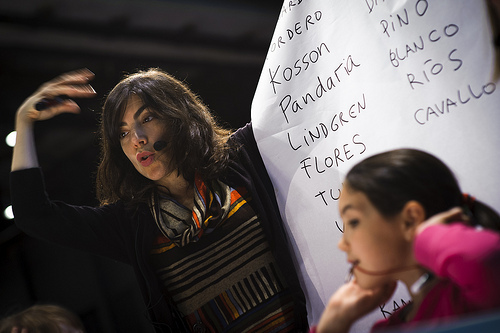 The pedagogues from Kulturhuset (who have planned the workshop with Isol) help the children in their creativity. Most students are very concentrated creating animals. Isol talks to each one individually. – What does your animal sound like? she asks. The auditorium is filled with noises. – What will you call your animal? She gets many suggestions. Finally, all students hold up their work for Isol to have a look. Then it´s time for next workshop, now with a bit older students. – Hola! says the children. – Habla Espanol? asks Isol. – Si, the children replys. Isols talks about her work with Numeralia, among other things. – For me, the picture comes first, then the text. But sometimes, another person is writing the text. 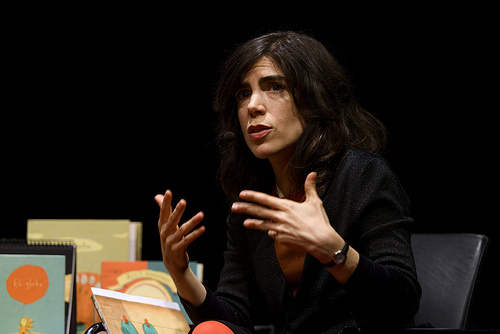 Then she talks about her co-opertion with Argentinian poet Jorge Luján. – Give me a numer, Isol says. – 6, shouts a boy. Isol draws the number six on a big paper. And put two eyes in the number. – New number! she cries out. – 8, says another student. And then number eight turns into a mouth. Then the children calls number after number, until Isol has drawn a figure. Isol also talks about how she uses colors to intensify her images, and mention her newly translated book into Swedish; Petit, the monster. – Petit is a fine little boy, who loves to play with his dog. But sometimes he´s a bit naughty and pulls the girls´ hair. And you´re not supposed to do that. She also talks about her book Nocturno. – This book is about secrets. – I like very much to work with dreams. And this book is in fact a book with dream recipes. Then Nocturno is distributed to all students. Isol asks them to open the page with the first dream. 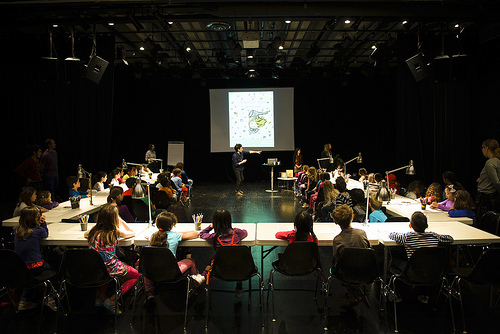 On each table is a desk lamp, and as the pages of the book is made of fluorescent paper, the children are asked to “load” the page under the lamp. There´s some fuss in the audience as there are not as many lamps as there are books. 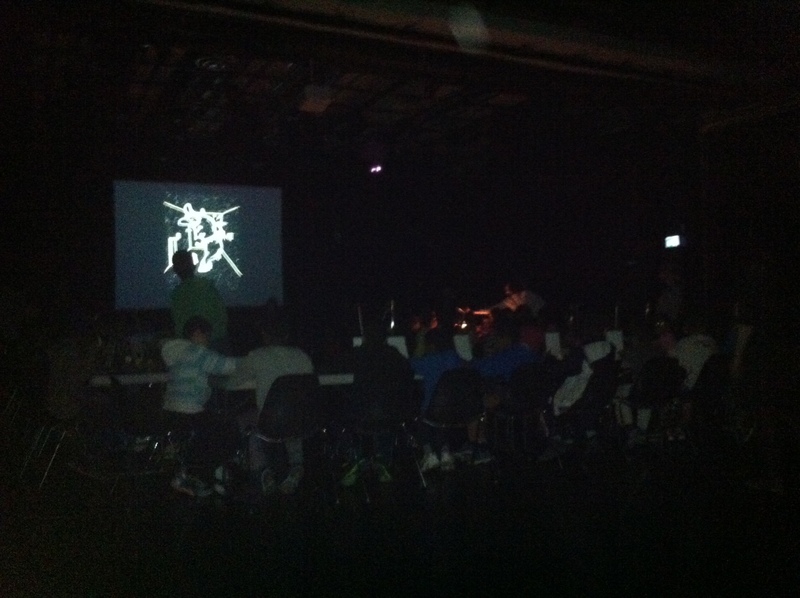 The light in the auditorium is switched off, and now 50 pages of Noctorno lights up the room. Many “wows” can be heard in the audience. Then all children work very concentrated creating their own dream recipes. 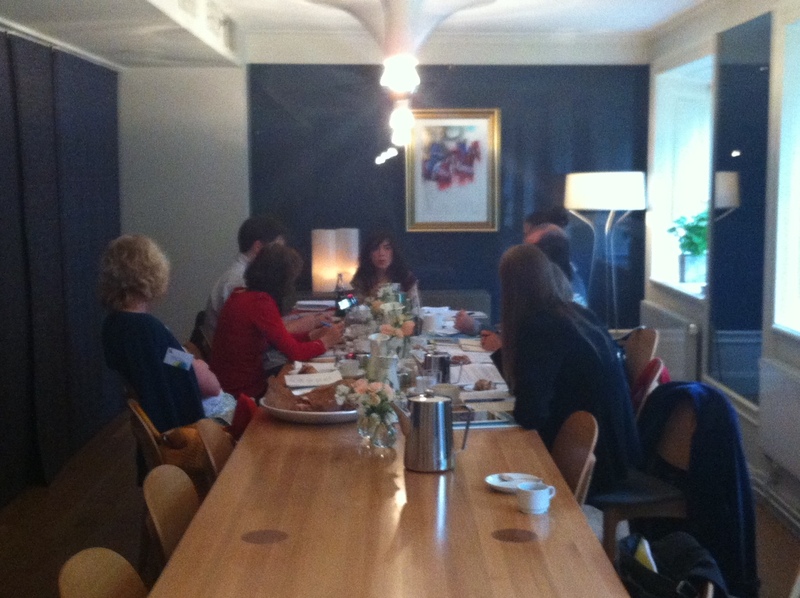 Stockholm was quite warm but windy and cloudy when Argentine illustrator Isol met press and media on Sunday afternoon. Tomorrow the award week begins with Isol leading two workshops at Kulturhuset (House of Culture) with students of different ages.